(Updated!) 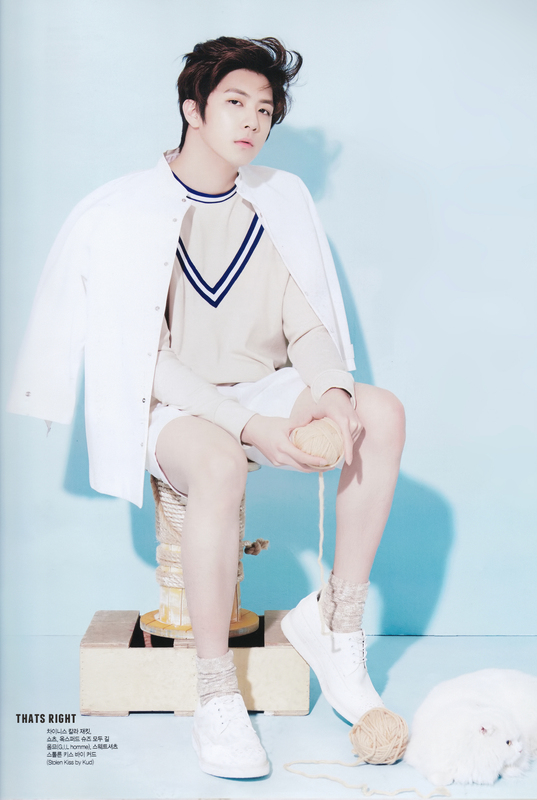 Cheondung in CeCi Korea April 2015 issue | OH THUNDER! 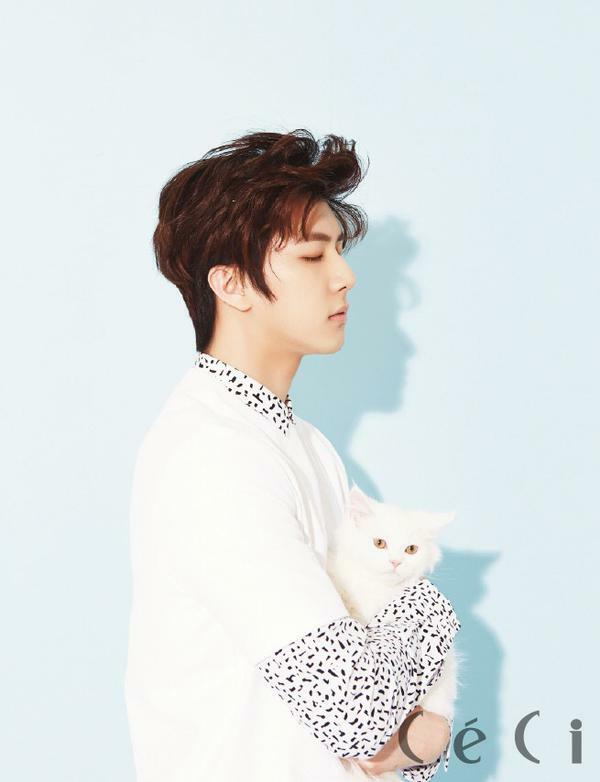 From boy to man, Cheondung to Park Sanghyun, standing alone as a solo singer and actor, a sweet break time together with cats. I compose every spare time I get. I can’t release the music. I can’t stop like it’s a drug. I want a solo album of my self-composed songs this year. I originally had no idea of the cat’s charms. It would have been around a month from debut when I really fell for them. That time, I went to a photoshoot, there was a Bengal cat. Seeing the cat for the first time, I had the feeling that it was fate, since then I became a cat lover. 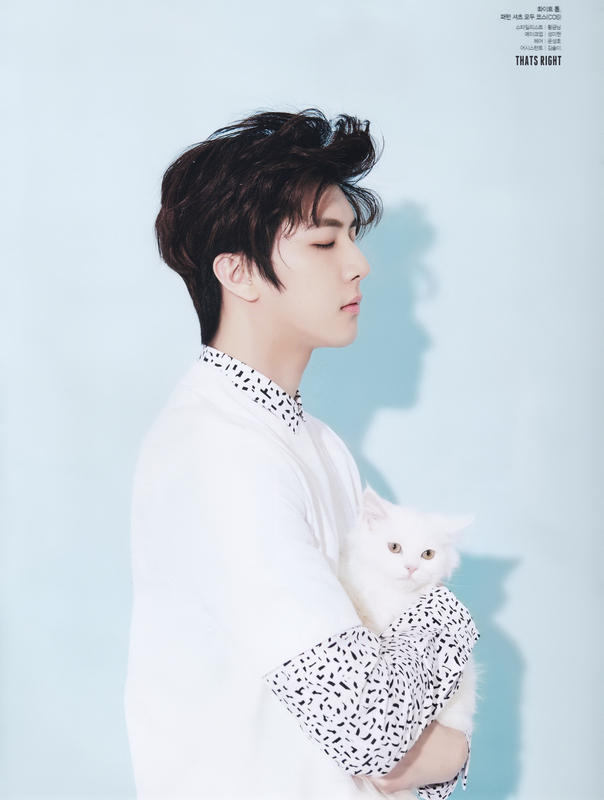 CECI Last time, for your New Year greetings, I saw you upload on Twitter a picture taken with your cat Dadoong. I heard that you have a total of four cats. That’s right. 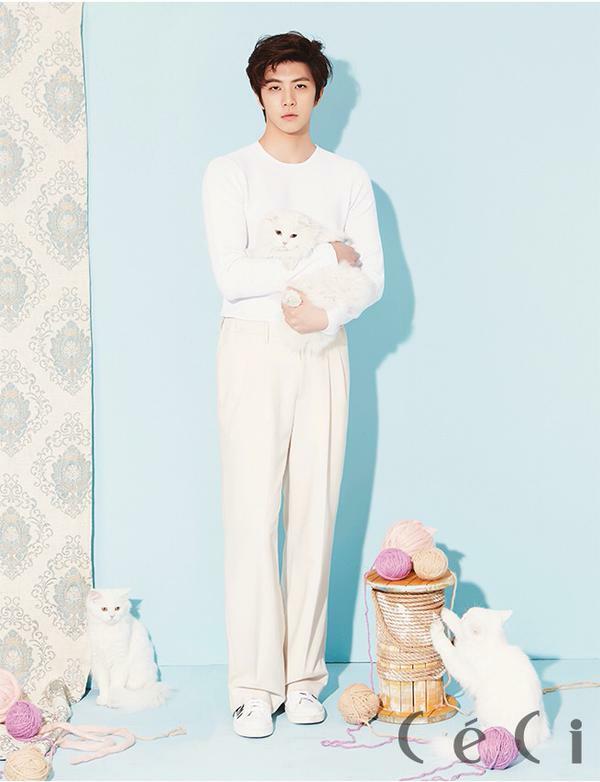 The first is Dadoong from the picture you saw, the Bengal, second is Bambi, third is Oreo, fourth is Haneul, all stray cats. (CECI How did you meet them) When we saw them, Bambi and Oreo had a lot of injuries so we brought them home to care for and have now become really pretty. The fourth Haneul’s case was that my mom was feeding cats on the street but Haneul kept on following her that she decided to bring her home. They’re all really adorable. CECI In the years of MBLAQ in broadcasting, the image shown that I caught a lot was a four-dimensional boy. But today, in fact, what I see is a calm and relaxed feeling. CECI Earlier I saw that to help prevent muscle loss, use supplements as substitute for meals. I only drink fresh fruit juice without the added sugar. Exercising at the gym and extreme dieting can grow your body hard. (laughs) I really like hamburger, pizza and spaghetti like crazy. 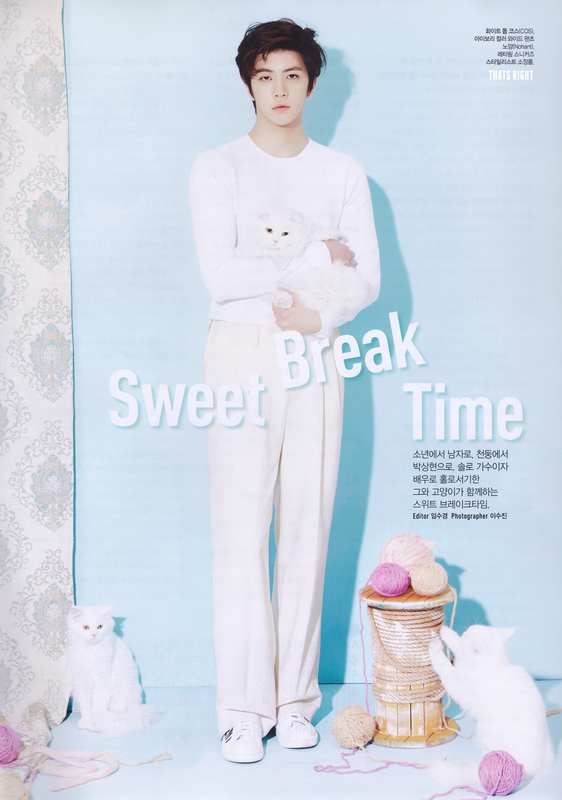 (CECI Because of your cute image, I thought that, thanks to exercising, your shoulders got wider and you became more manly. Like an image transformation) Maybe because I turned to solo from doing group activities, I thought I wouldn’t need a new image. My hair too was originally a red color but then I had it toned down and changed to a dark brown. CECI You’re appearing in the new MBC drama ‘Make a woman cry’ as the role of Ha Heera’s son ‘Hyunseo.’ What kind of character is it? From birth, he never had a father and only lived with his mother so he felt a lot of sadness and was also sick, a role that has a delicate nature. 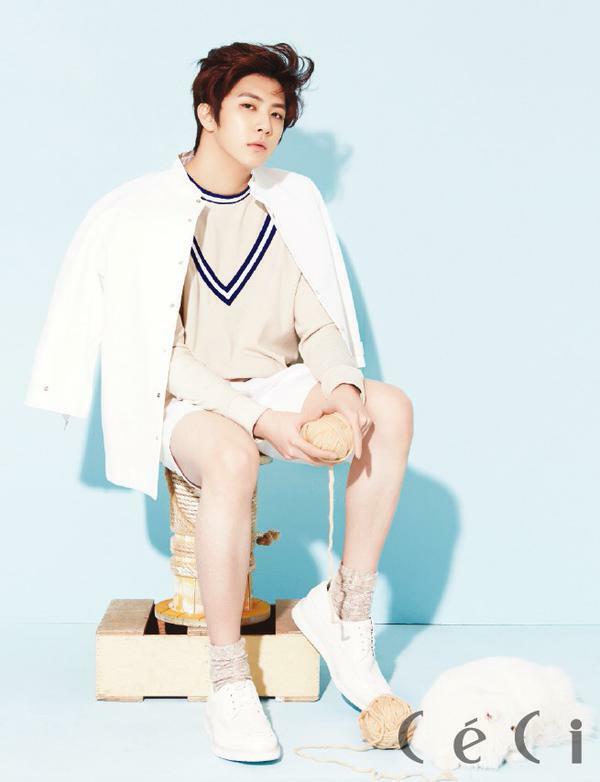 (CECI The real Cheondung and the contrasting character will be the acting challenge.) You’re right. But there are also similarities. (CECI What are these similar points) This friend Hyunseo is a really good guy. (Laughs) I too have the mindset of living life as a good person until I die.